Building on this award-winning architect's established name, we created a refreshed identity with a classically contemporary feel. 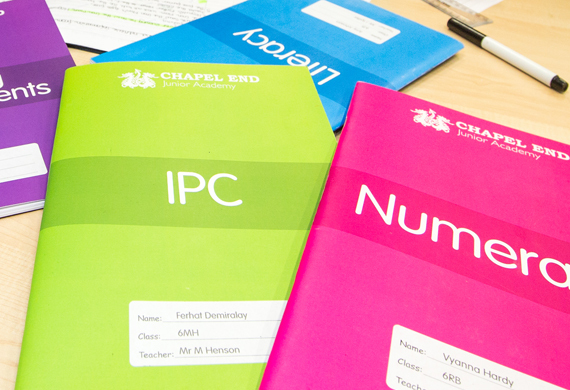 Working in unison with superior photography, pitch-perfect typography and absolute attention to detail, this sophisticated identity has been instrumental in acquiring many prestigious new customers. 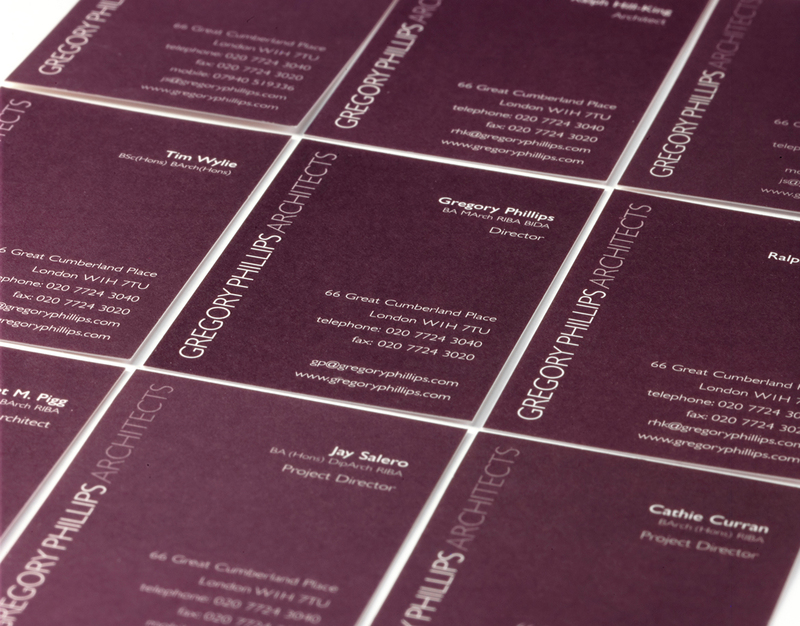 WhiteLight produced: Logo design, brand guidelines, stationery, press advertising, brochures, folders. 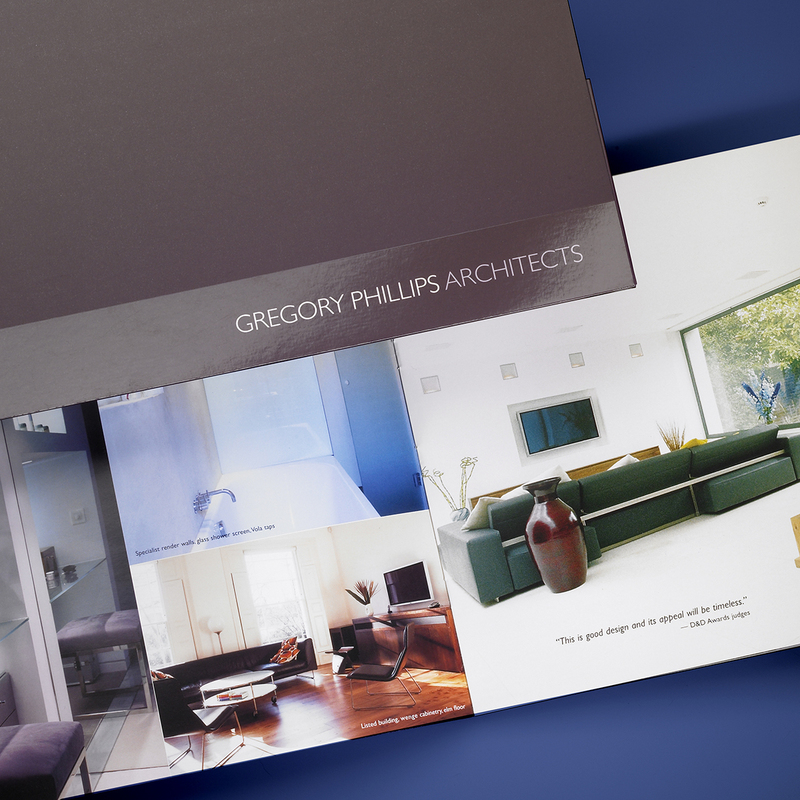 A horizontal format was ideal to accentuate the deep-angle photography that best captures the luxurious nature of Gregory Phillips' most prestigious work. 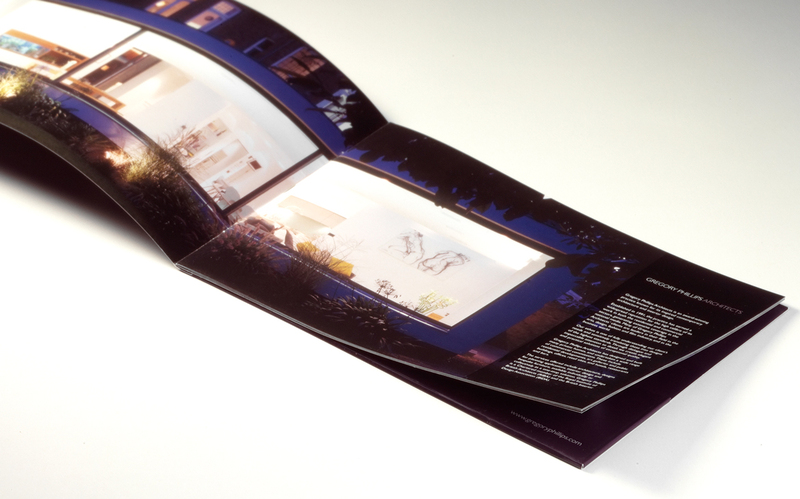 The brochure was designed with an inside-back pocket so clients could store plans, contracts and other printed material. 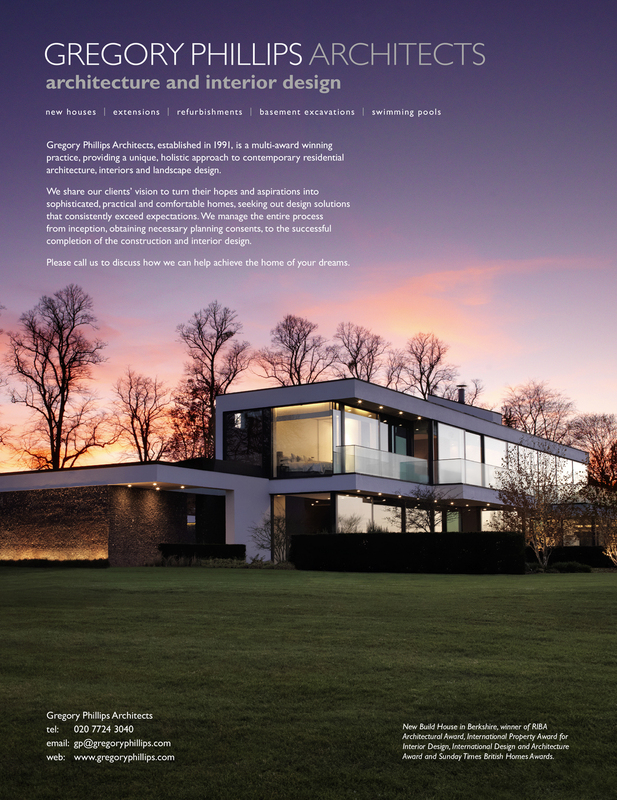 Published regularly in best-sellers such as Grand Designs and House & Garden, our ad designs rely on minimal typography to allow the impressive imagery to speak for itself.